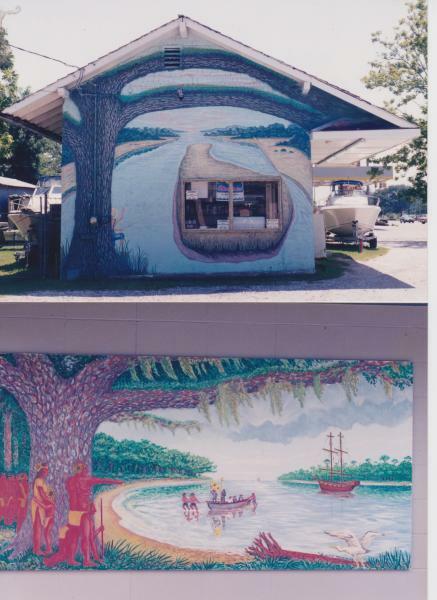 Glenn E. Miller has also completed several murals around town. Most visible is his Old Fort Bayou panorama completed on the west wall of the "Who Zat" (now "Sandbar") lounge-fishing camp on Washington Avenue in 1993. 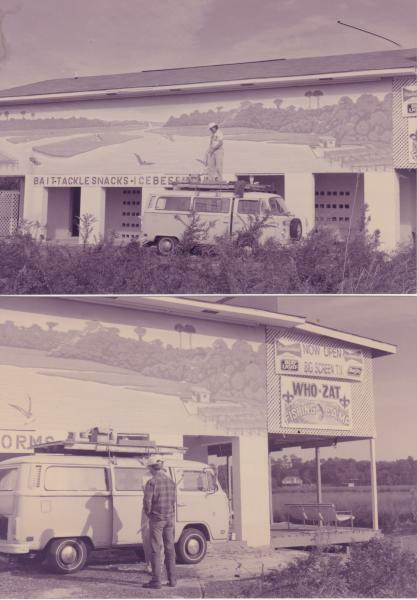 Bayou Sporting Goods at 901 Bienville Boulevard also sports a 1994 Miller mural on its west wall, which again depicts a local bayou scene. 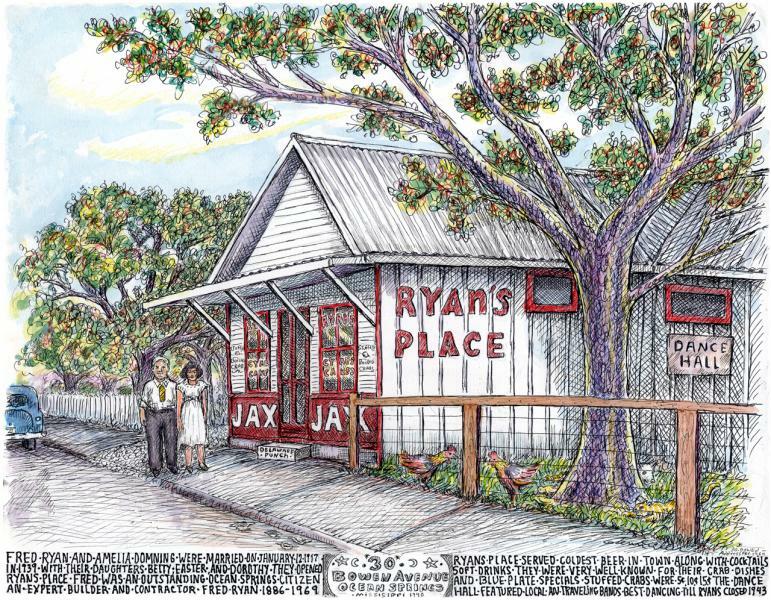 “as an artist-etcher, I am proud to have created a completely handcrafted print. My etchings are all done directly from life and the image is scratched on the zinc plate thru and acid resistant paint. Then immersed in an acid where the image becomes etched into the plate. I remove the coating, hand ink the plate, wipe it then slowly print it on a high pressure press. The plate is re-inked and wiped for each impression. I then hand tint to insure the unique originality of each print”.